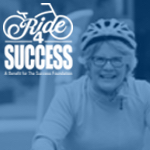 The 5th Annual Ride4Success would not happen without our volunteers! Click through the tabs above to see the available opportunities for this year's event! Rider Support Team 1: 1229 8th St.
Rider Support Team 2:1403 2nd St.
Rider Support Team 3: 1400 A St.
Rider Support Team 4: 2500 F St.
Rider Support Team 5: 3501 F St.
Rider Support Team 6: 4940 F St.
Rider Support Team 7: 100 59th Ave.
Rider Support Team 8: 6600 4th St.
Rider Support Team 9: 71st Ave. & Grizzly Dr.
Rider Support Team 10: 760 N. 71st Ave.
RST 12: Railroad Tracks at F St.
Rider Support Team 13: 4340 O St.
Rider Support Team 18: 1300 1st St.
Rider Support Team 25: East 8th St.
Rider Support Team 27: 1600 N. 25th Ave.
Rider Support Team 28: 500 N. 11th Ave.
Rider Support Team 29: 201 N. 11th Ave. Success Station: Dog Park off F St. Success Station 4: 47th Ave. & AA St. Success Station: 47th Ave. & AA St.